3D Virtual Tours are fully immersive, 3D models of real-world physical spaces. Our one-time property scan uses the world’s leading 3D cameras and software technology to combine high-resolution photography, interactive 3D tours, and immersive virtual reality experiences. 3D Virtual Tours are an exciting new way to showcase any property or location online. The earliest uses of 3D Virtual Tours have been in the real estate and hospitality industries, providing the most realistic virtual tours, and allowing potential clients to walk through their properties in a real-life 3D experience. The technology can also be employed for retail and public venue space planning for contractors and architects in need of precise and accurate 3D models. Freely move from room to room while viewing any space from all angles. Your clients can tour the property from anywhere with their Google, Samsung or other VR headset. See the entire space as a 3D model and as photographic floorplans. Share on your website, social media, REALTOR.com and your local MLS. Clients can easily share virally as well. Add photos, audio and videos to areas of interest throughout the tour. Professional printable floorplans with measurements are optionally available for a small fee (see pricing). Kessinger School Rd. Custom built home on 51 beautiful acres. If you are in need of high-quality, cost effective, cloud hosted virtual tours for any industry, contact us today. We'd love to show you how we can provide everything you need to present your property in a whole new (and very impressive!) way, with a single 3D scan. Utilizing state of the art 3D camera and software technology, Bauer3D provides your clients or potential customers an immersive virtual realty experience. We have an extensive background in real estate marketing so we understand the importance of a client’s impression of your space. How do I embed the 3D Virtual Tour into a website? 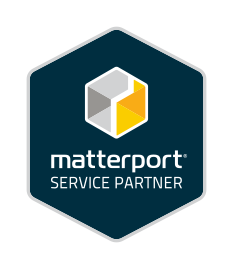 Bauer3D is an authorized Matterport service partner. Bauer3D is a family owned and operated business. Utilizing state of the art 3D camera and software technology, Bauer3D provides your clients or potential customers an immersive virtual realty experience. We have an extensive background in real estate marketing so we understand the importance of a client’s impression of your space.